I ran my first SPG sequence. I am using a DSLR on the C11, with 30 sec. subs at 800 ISO. Everything worked fine except Plate Solve 2...a common occurrence with we SGP newbs. Slewing and Centering were dead on, but no plate solve. Guiding was great. The image generated by Framing and Mosaic Wizard was much different than the image produced by my camera. Rotation, FOV, etc. Does image rotation affect the plate solve? I don't have a rotator so all rotation is turned off in the sequence. It was a Full Moon (96 %). Would this confuse plate solve? I had increased the Framing and Focus time to 10 seconds with 3200 ISO, so I know I had many stars. All was washed out as expected with the bright Moon. I also had plate solve fail over to Astrometry, trying both local and remote. All catalogs are on my computer. Edited by Dynan, 21 March 2019 - 12:49 PM. Rotation doesn't matter, plate solving figures out the exact rotation. The most common initial cause of failure is not configuring your image scale correctly in the control panel (I think it is under the camera tab). Thanks, pedxing, but I had my Astrometry scale of .306 entered. Please double check the image scale. I have the feeling you are off a bit. However, PS2 requires that you be quite close to where the scope thinks that you are to work properly. So, I would expect that would be the more likely problem. It's not because astrometry.net is an all sky solution. That has to mean that either the data is incorrect in the header (check it) or you have put the wrong image scale in. Just a 5 percent difference can cause what you saw. Use http://www.wilmslowa...re/formulae.htm to calculate the image scale - don't guess. What error message does it give when PS2 fails? If it's an image scale problem it will give a message indicating this (something along the lines of "your image scale is not within X% of expected"
If you upload your SGP logs we will also be able to see why it failed. BTW: I've never had the moon impact plate-solving. 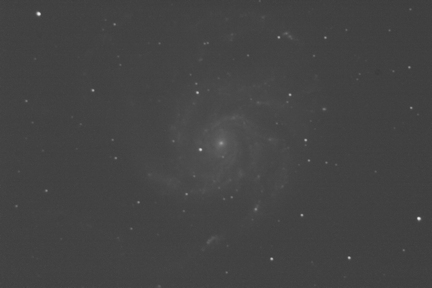 Another way to get closer is to take one of your plate solving images and submit it to the online service at nova.astrometry.net. It takes a couple of minutes (wait for the “go to results page message”) but it blind solves any angle or location. Write down the info it produces especially the pixel scale, position angle and use them in the SGP solver. My experience isn’t vast but it has taught me that plate solving seems easier at larger pixel scales so my assumption is that the smaller your scale, the more precise the input information needs to be to get good results. My wide field system has a pixel scale of 2.21 and never fails to solve in SGP or TheSkyX Pro, but smaller scales (below 1.0) on other systems cause headaches and some failed solves. At the moment I am getting things ready to go to my pier site for the 6TH, count 'em, 6TH night this year so I don't have the opportunity to post my SPG logs at the moment, but I will when I return. Of course, being a newb at SGP, they'll probably read like some cheap, tawdry novella. I am at 0.306 image scale, so that might be the problem. Didn't think to upload a file to Astrometry for the info. I'll try that tonight. As I said, the centering was perfect. With the Full Moon, it's more of a learning trip anyway. Thanks! I knew I could depend on the vast knowledge here on CN to at least have a method to try. Ha ha :>! Yeah, I used to also be reluctant to share my logs as they'd show all the crazy things I was trying . Don;t worry - we've all been there done that . Does it log the 'flowery' language I used? Might need a Mod to review it before I post. Edited by Dynan, 21 March 2019 - 04:16 PM. Center (Dec, dms): +54° 22' 19.631"
So for rotation, should I enter the 93.1°? Or does that need to be factored/subtracted/complimented for a proper SGP entry? You don't need to enter a rotation value. Rotation is not your issue. Plate solving identifies the stars and slews to the star field. If it's rotated poorly, that's your problem (unless you have a rotator configured in SGP, in which case it will tell you which way to rotate the camera for a manual rotator, or do it automatically for an automated rotator). As others are pointing out here, an incorrect image scale is the most common reason for PS2 to fail. Another cause is not giving PS2 good starting coordinates for its search. When I was using SGP, I always started the night with a "blind solve and sync" using astrometry.net. This corrects any errors in your scope's currently reported position, and if your polar alignment is good, subsequent slews will report coordinates good enough for PS2 to quickly solve your images. Sorry, a little late to this thread and I see you've started another on this topic, but I have a question about your post here. You state that "Slewing and Centering were dead on" but plate solve did not work. I don't see how, in SGP, you can have successful centering without successful plate solve? Plate solve is an intermediate step in the centering process, at least the way I've always done it. One thing that often can go wrong is to not apply the equipment profile to the sequence after you make changes to the equipment profile. Unless you do that, the sequence will still you what was last applied or what you set as your default sequence. This is common mistake that is not readily apparent. Edited by cfosterstars, 26 March 2019 - 09:24 PM.